At American Family Fitness, we believe our members are what is important. We have created a wide variety of programs to help you reach your goals, and we will do all we can to get you there! Have you been searching for a fitness center that truly offers everything? At American Family Fitness, we believe we are that fitness center or the closest thing to it! We are proud to be able to offer a wide variety of programs that appeal to all ages and interests. With our group fitness classes, mind & body programs, cycling classes, our free eight-week course that gives the run-down on the basics of fitness, as well as our aquatics programs, we believe we provide the most elite curriculum of any fitness center in the area. Come on in and check out everything we have to offer, we’d love to meet you. The indoor pools in our Fredericksburg and Richmond gyms provide year round aquatic fitness. 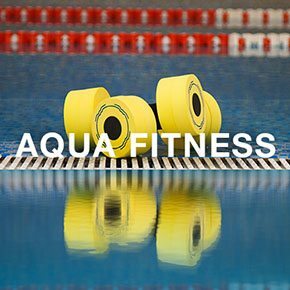 We offer group aquatic classes that vary from high intensity water aerobics to lower impact aqua yoga. Aquatic personal training provides you with guidance in a one-on-one setting. We also offer swim lessons and swim clubs, lap pools and kids' pools. What could be more refreshing than a workout in the water? With the amazing group fitness classes offered at our Richmond, Fredericksburg and Williamsburg gyms, members are sure to find activities to enjoy. 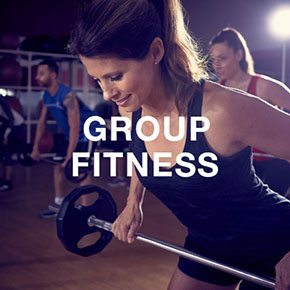 You'll find a variety of group fitness classes as well as options for cardio health, strengthening, mind and body awareness, weight loss, and improved range of motion. Whatever your fitness goals may be, you'll find classes that are motivating, effective, and fun! Everyone in the family is important at American Family Fitness, and our gyms offer programs for every age including kids and youth. 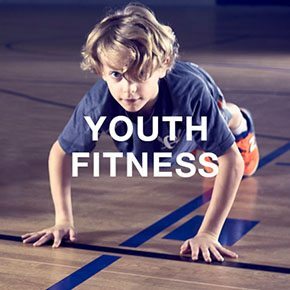 For those between the ages of 9-13 years, our clubs offer age and size appropriate strength and cardio training, games, activities, and summer camps. There are swimming lessons and swim clubs, too, for those who enjoy the water. Our onsite childcare services, the KidZone, welcomes ages 6 weeks through 13 years for supervised activities and fun while you workout.